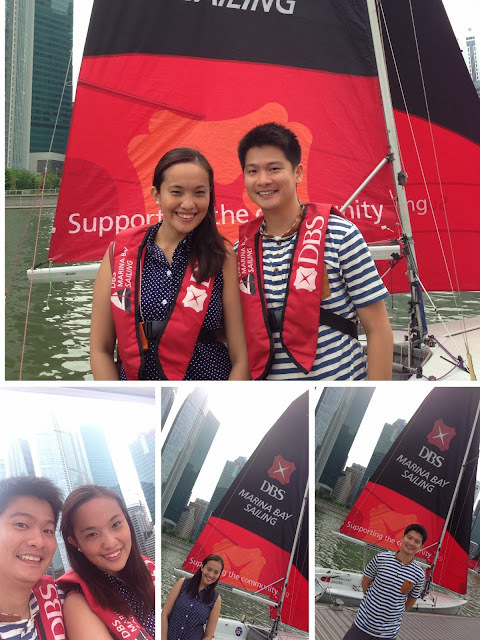 Last weekend, J and I went sailing around the Marina courtesy of DBS bank. This "community" activity has been going on for a while now and is a great way to explore and approach the bay area. 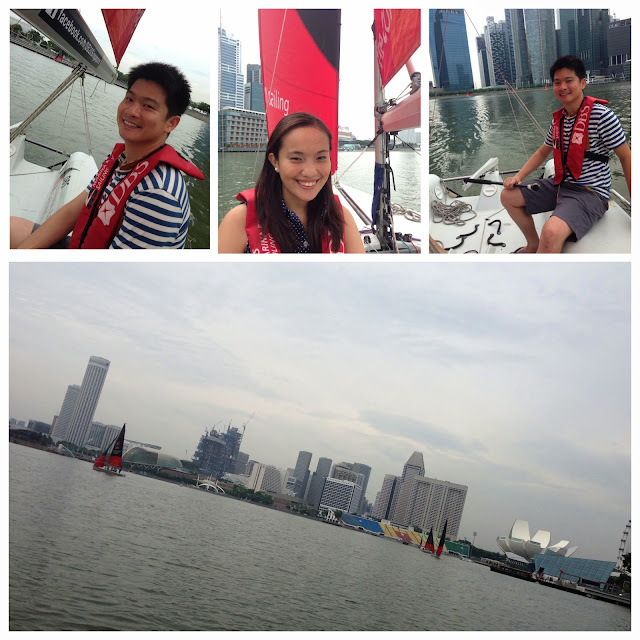 It was great to experience the breeze hitting our faces as the sailboat sailed through the Marina bay, plus just look at the gushing of the waves at the side of our boat. Each boat holds a maximum of 6 persons and a skipper. We were fortunate to have the boat to ourselves with another guy. 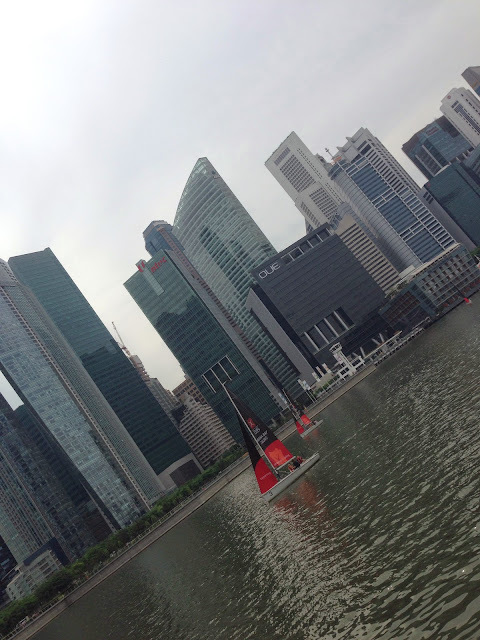 It was a great approach to see Marina bay area from the boat. We immensely enjoyed splendid views of the iconic Marina skyline through the boat - Marina bay area, financial center and the MBS. As an added bonus, J got to steer the sailboat too. Ten, fifteen, twenty minutes passed by so quickly as we went around the bay in our little sailboat, going where the wind led us. 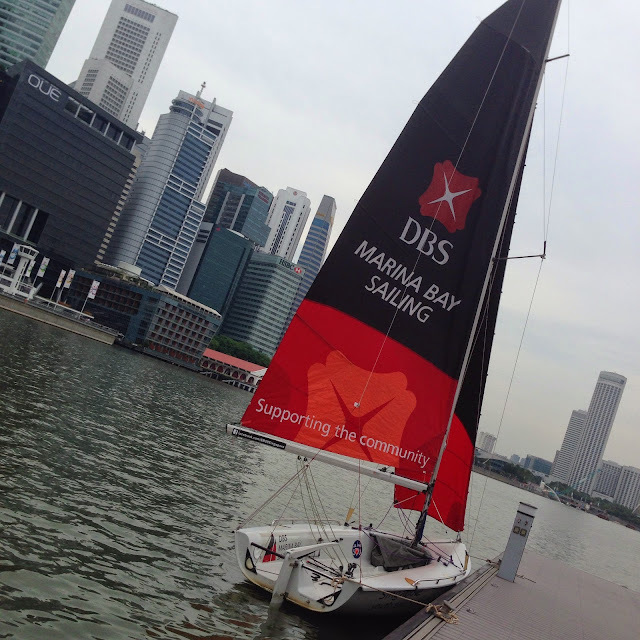 Know more about the DBS Sailing programme here.